It could be the diamond white metallic paint. It could be the double spoke 19 inch rims. It could be the array of LED lighting, the pillarless side profile or maybe it’s just the massive three-pointed star on the grille. Whatever it is, the E400 coupe owns every figurative room it enters. There’s no doubt that there’s something special about this relatively conservative design, grabbing attention from passersby quicker than a celebrity sighting. 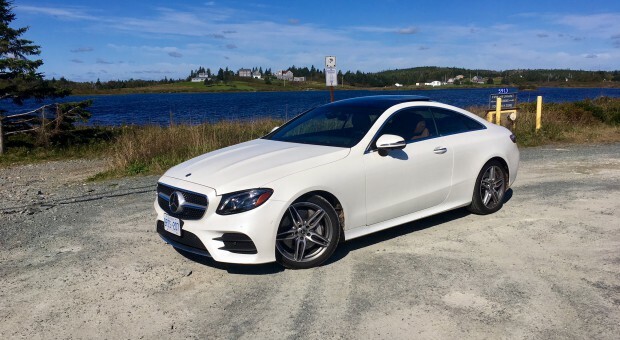 While the family of Benz sedans have quickly decided that imitation is the best form of flattery, the coupes offered from the German brand are a lot more distinctive. And perhaps that’s a reason why you might buy the coupe over the sedan. But if everyone was impressed with the exterior, it really is a shame that they weren’t able to get some time spent inside, especially at night. The E400 coupe does a pretty decent imitation of an alien vessel with configurable ambient lighting (there’s a lot of colours to choose from), the abundance of lit up buttons and of course the two large screens displaying pertinent information. As you’d expect, there isn’t a shortage of luxury items available on the E400. The seats are quite comfortable and the cabin feels airy, what with the omitted B-pillars and sun-roof which spans almost the entire length of the roof. Indeed, it’s more than a feeling though with adequate headroom in the back, despite the sloped roofline. Leg and knee room could be described as generous. The aforementioned double screens, which are meant to emulate one large screen, displays information in a clear and concise way. The information is controllable from a dial, partially covered by a track pad, located where the gear lever would ordinarily be. The upside is that it makes for a cleaner design and frees up room. The downside is that the gearshift is located on the column and it’s flimsy/cheap feeling along with being occasionally unresponsive. Happily, the same can’t be said for the engine. 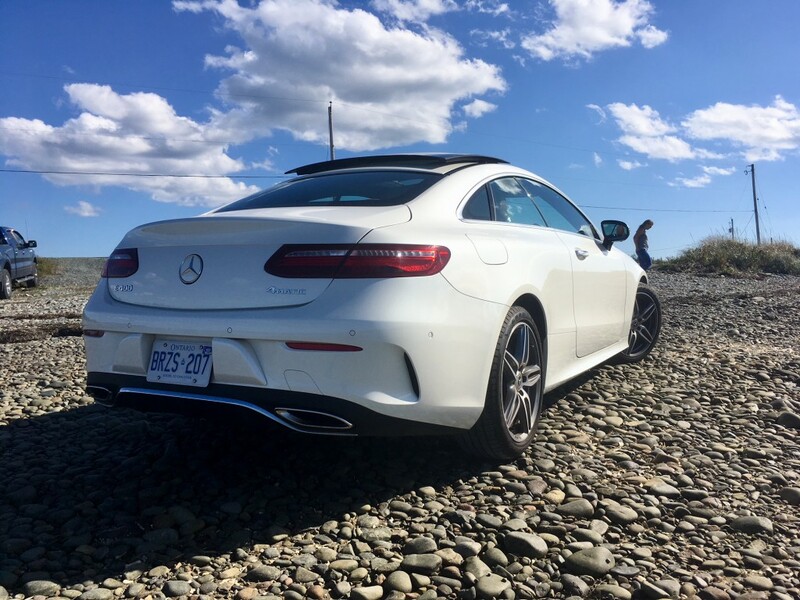 The E400 comes with a twin-turbocharged 3.0 litre V6 which produces 329 horsepower and 354 pound feet of torque, mated to a nine-speed automatic. 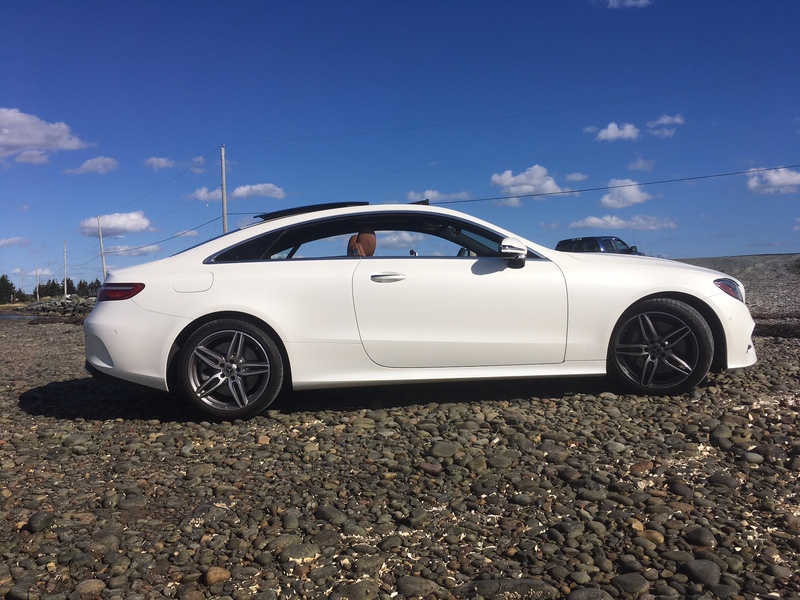 The end result is a big coupe that is quick to be sure, but it doesn’t accelerate with the same bravado as an AMG coupe would. Think of it as being a bit like James Bond. Everything in the way the E400 drives is meant to impress, all while maintaining composure and class. As of today’s date, this is the only engine option available in the coupe. 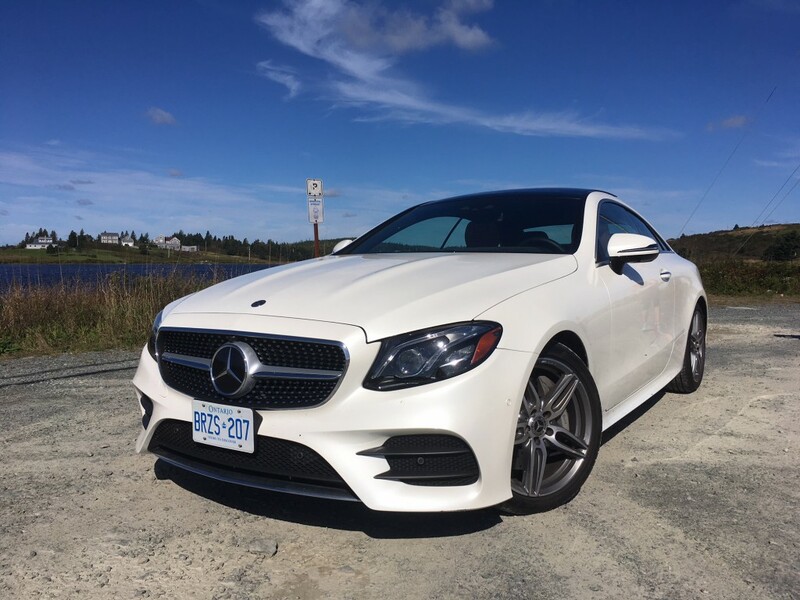 However, expect the turbocharged four-cylinder found in the sedan to eventually make its way into the coupe along with an AMG version for those may find the E400’s characteristics a bit too tame. Of course, the different drive modes can alter its personality. There’s no Jekyll and Hyde imitation, but there’s certainly a noticeable difference from eco mode, which essentially makes it feel neutered, and Sport+. Truthfully, for every day driving, normal is best as it’s nicely balanced between a comfortable ride and adequate performance. Of course, in any mode, if you put your right foot to the floor, the engine will come to life. The nine-speed automatic is only too happy to cooperate with level shifts exactly when you want them. For the twisties, you’ll want to keep it in Sport+. The Big E reacts more like a GT car, but you certainly won’t be disappointed when you throw it into the first corner. While the E’s mass is certainly noticeable, at no point do you ever lose confidence in its abilities to hustle you through to the next bend. The steering feel is decently weighted but the suspension is quite jarring in Sport+ which, quite frankly, makes the E400 feel un-Mercedes like. 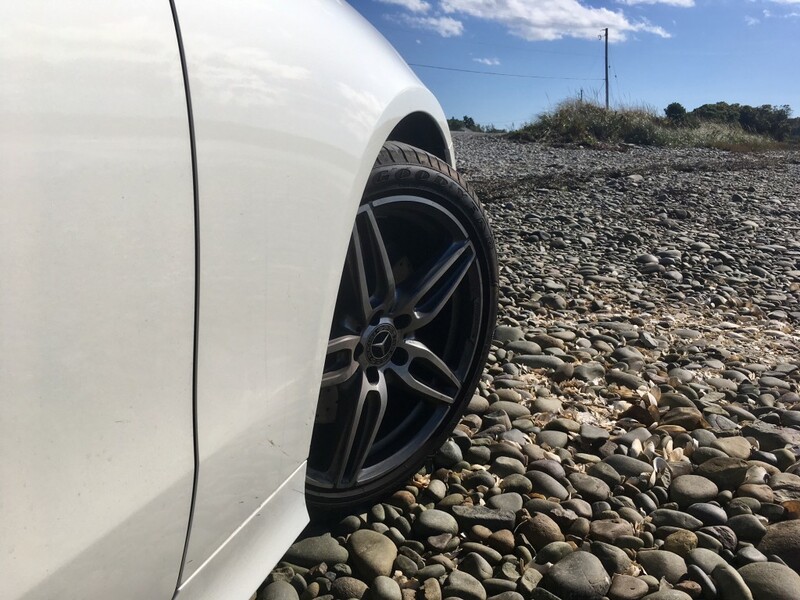 The low-profile tires does no favors for comfort either. Fuel consumption numbers come in at 11.8? 100 kms city and 8.9 highway. A lot of shorter trips around the city plus my apparent inability to not take advantage of over 300 horses meant that the E400 finished its time with me with a 12.5 rating. I suspect for those who have more self-control of their right foot, and do a lot more highway driving would return better results. There is no denying that the E-coupe rarely registers disappointment with its driver. 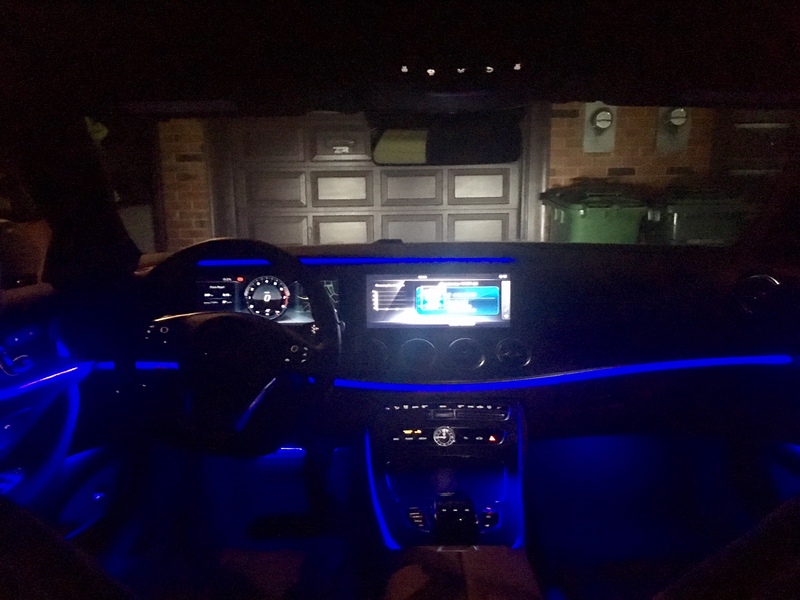 As anyone would expect from a Mercedes-Benz, there isn’t a whole lot to critique in terms of quality, and driver engagement. However, once you take a look at the close to $90K as tested price, you need to take a step back and ask yourself if it is worth the price tag. 90 grand isn’t an insignificant amount of money and it’ll buy cars more powerful, flashier and more uncommon. From that standpoint, the E-coupe seems a bit out to pasture. But that’s a conclusion rational minds will reach. 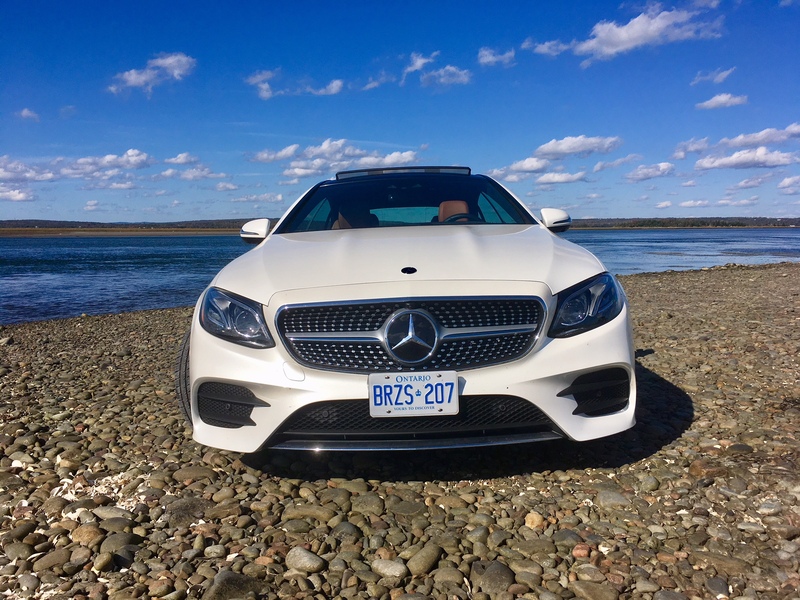 The E400 isn’t a rational purchase, but it certainly has the credentials for being a credible emotional purchase considering the awe-inspired gazes it receives and the eventual smile it will put on your face when you drive it. 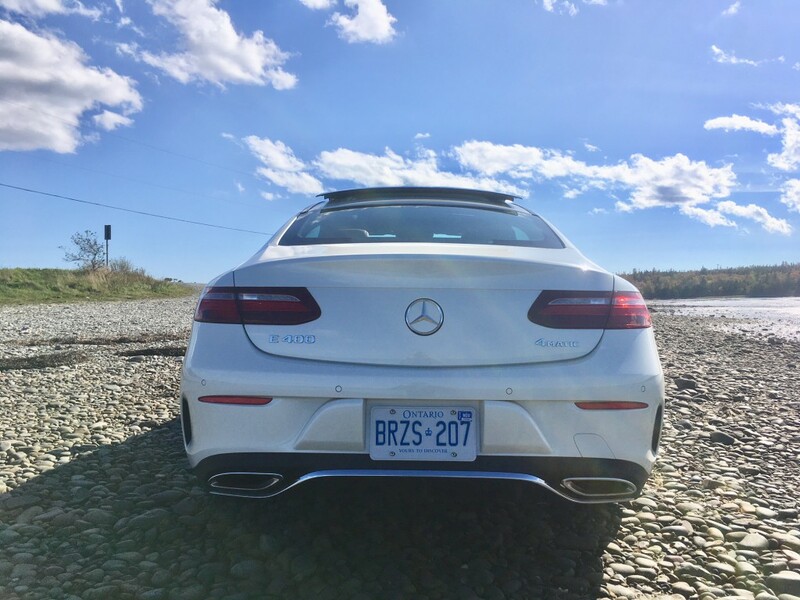 0 Responses to "Review: 2018 Mercedes-Benz E400 Coupe 4MATIC"